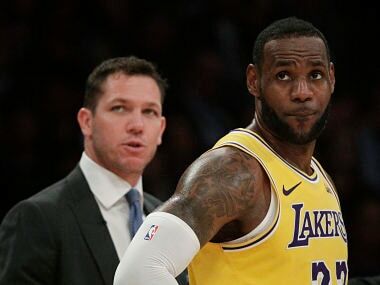 Los Angeles: LeBron James believes the Los Angeles Lakers face a "critical" offseason as the team attempts to rebuild after missing the playoffs for a sixth consecutive year. "I've never played fantasy basketball," James told Bleacher Report. "But I will be as active as I need to be for this franchise to get better. That's why I came here. "I came here to win. And obviously, we need to get better, as far as our personnel. We have an opportunity to get better. "And there's a lot of talent out there and a lot of guys that can help our franchise. So I'll be as active as I need to be for us to get better and go from there." 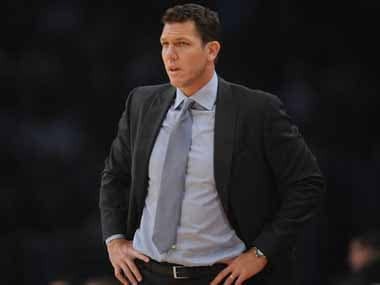 On Wednesday, Lakers owner Jeannie Buss refused to address Walton's future when asked whether he would remain. "I'm not going to give you an answer to that question," she told a Sports Business podcast. "It's a critical summer for me," James told Bleacher Report. "Obviously, the franchise is going to live forever. But for me personally, it's very critical, because I want to compete and I want to compete now." "I'm positive and very optimistic that Magic (Johnson) and Rob (Pelinka) and the franchise will be great," James said. "They got me. I'm very confident. And I'm confident that players want to play with me. I'm very confident in that."